25-foot PVC Air Hose with 1/4" Industrial Interchange Fittings. The quick couupler disconnect is worth the price alone!. This is NOT a coil hose. It is PVC and strong, durable and light. For use in mild climates (not below 32 degrees F). Economically priced, it's ideal for the garage and at this price, limited stock! 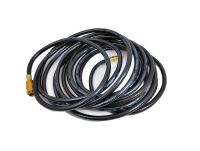 Air hoses deliver air from your tank to the tool/application. There are many different types and sizes of hoses, from rubber and nitrile to polyurethan and lightweight hybrid hoses. Be sure to use the correct diameter hose for your application. 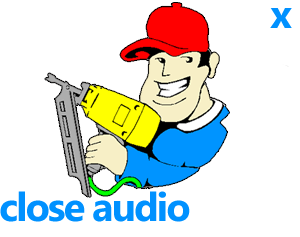 Replace if it leaks or is cracked or dry-rotted. Hose kits are also available to repair most types of hoses.